Check it out! I miss them terribly, but they are having a terrific time, and that is what counts. Spectacle on a grand scale matched with intimate exchanges on the human scale with folks from around the world. 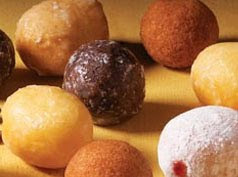 Oh, and did I mention Timbits? uh oh! group show! Seems that I got put into a group show in Petaluma. Pelican Art Gallery.